11" Tall. Sitting on his rum, tail curled and reaching for Mom, he may look harmless, but watch out! 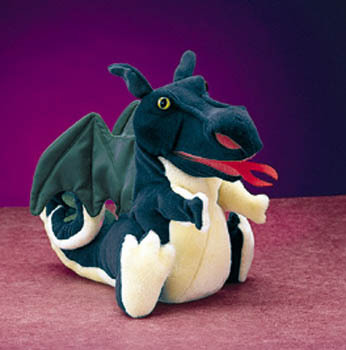 This Baby Dragon is a fierce creature in training. Animate his arms and mouth and he'll light fires in your heart.